Our family watched La Guardia Cross’s “Interview With a Toddler” video about twelve times in a row – which had nothing to do with the fact that we were laid up on the couch anyway and everything to do with the fact that it is hilarious! The kids’ favorite part seemed to be when adorable little Amalah was talking about using sleep as a weapon on her parents. Which is slightly alarming. For us adults, picking a favorite part was absolutely impossible. There were just too many great jokes. But one thing that did stand out to us was an important reminder for parents. Part of what makes this video so funny is that the dad is talking to his little girl like she’s an adult. But you know what? We do this with our kids all the time, and we think it’s really important for their development. Sure, obscure references to obsolete cassette tape formats will go over their heads every time. But when you skip the overly simplified baby talk, and speak to your kids with your regular old adult vocabulary instead, they’ll understand way more of it from way earlier than you might think. And that’s really great for your kids. Because the more language they understand now, the easier it will be for them to learn to read and be successful in school later. And that’s nothing to sneeze at. Or barf at. Ugh. 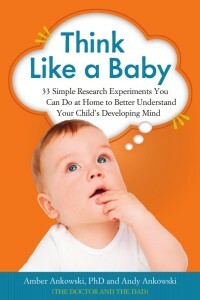 First-borns are smarter Part 1: This cite is REAL! Why We Should Hate Captain Underpants … But Don’t The Berenstain Bears theme song makes either no sense, or more sense than you could ever hope to comprehend Ask D+D: Is my child regressing?